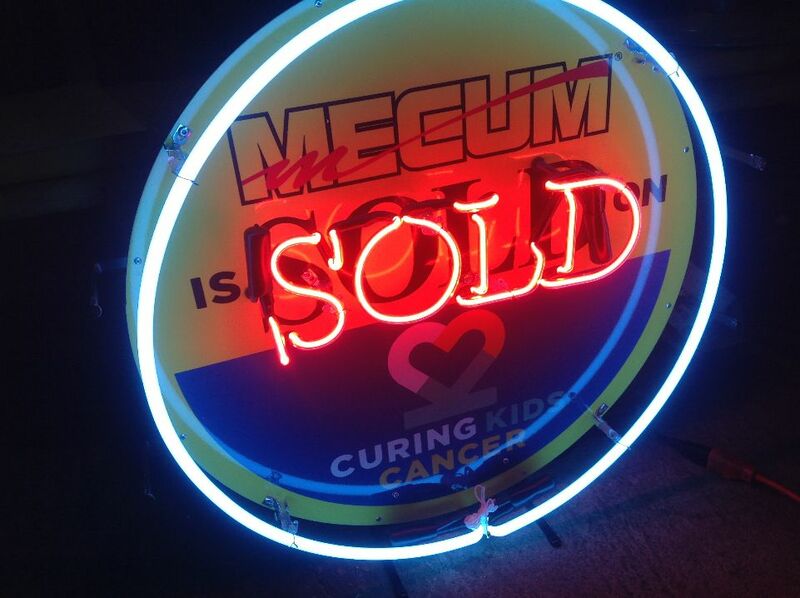 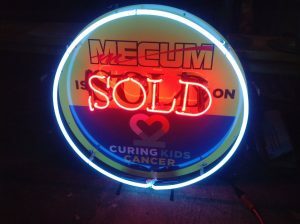 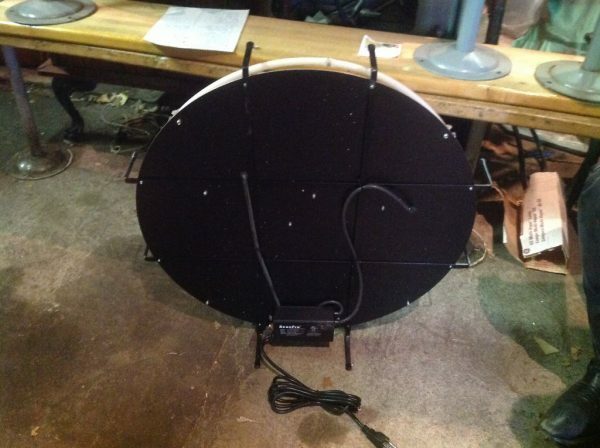 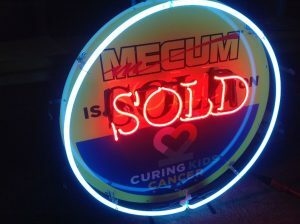 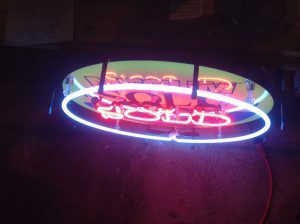 Mecum Auto Auction SOLD neon sign in working condition. 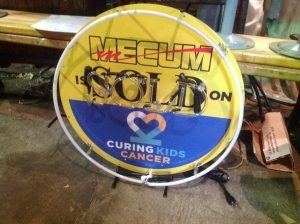 Auctioned at Mecum’s auction to raise money for charity. Nice addition to your mancave………..